Dark brown color. Spicy aromas and flavors of spiced chocolate, mango anise chutney, pink peppercorn, and nut butter on dry toast with a velvety, vibrant, finely carbonated, dry-yet-fruity medium-to-full body and a peppery, appealing, medium-length finish displaying suggestions of root beer float with rocky road ice cream, balsamic drizzled dried fruit and roasted nuts, rum raisin cake, and chili pepper finish. A spicy, peppery, warming flavored porter. 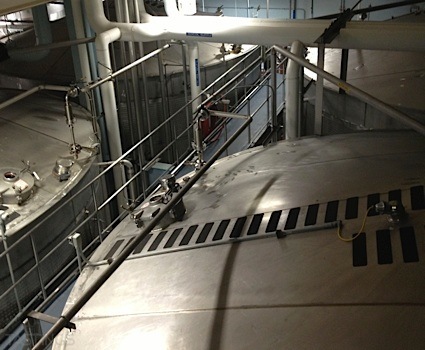 Bottom Line: A spicy, peppery, warming flavored porter. Flavored porters are brown to dark brown and average between 5.5-8.5% in alcohol with variations depending on the interpretation of the style. They can be sweet or dry and commonly derive their flavor from dark fruits, coffee, and chocolate added during the brewing process in addition to the standard malt, hops, yeast and water. Noteworthy examples of this style include: Caldera Mogli Imperial Porter, Kona Pipeline Porter and Rogue Mocha Porter. 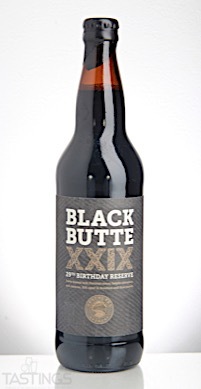 Deschutes Brewery Black Butte XXIX Birthday Reserve Flavored Porter rating was calculated by tastings.com to be 86 points out of 100 on 12/14/2017. Please note that MSRP may have changed since the date of our review.